Week 8 beginning 1st February – nearly there! Monday 1st February – Afternoon jog, 30 minutes while listening to Democracy Now’s special on day 1 of Black History Month about the Freedom Riders. Ever heard of ’em? I hadn’t. A highly recommended great listen if you want to known something about the civil rights struggles in the US in the early 1960s. Hard to believe that was left than 50 years ago. A documentary about the Freedom Riders premiered at the Sundance Festival this year and will be released to the public in 2011. Wed – A light and wonderful ran for 45 minutes, topped off with some runs up & down stairs @ the stade. Last week I felt like I had travelled to planet Lazy and would never return, but now my training groove is undeniably back. Feels good. Thurs & Friday – Off x 2. 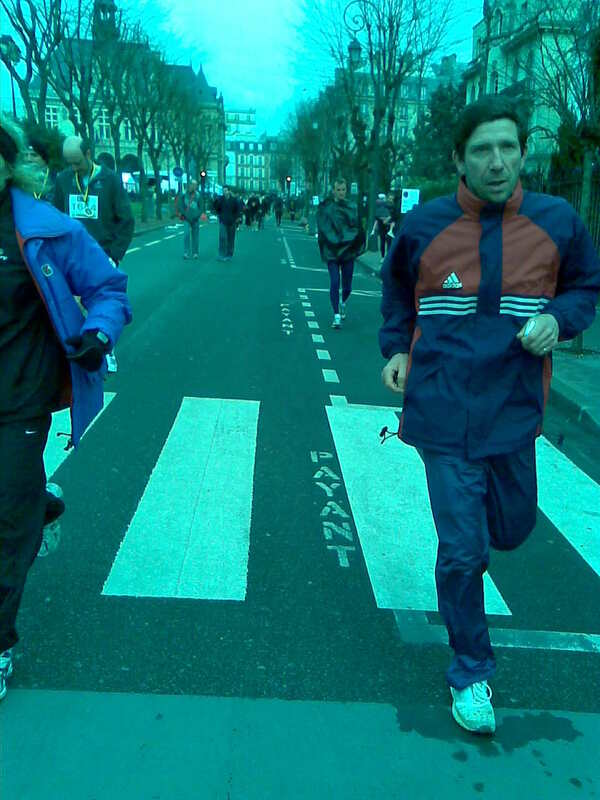 Saturday – Light run @ the stade 45 minutes w/ Jorge. 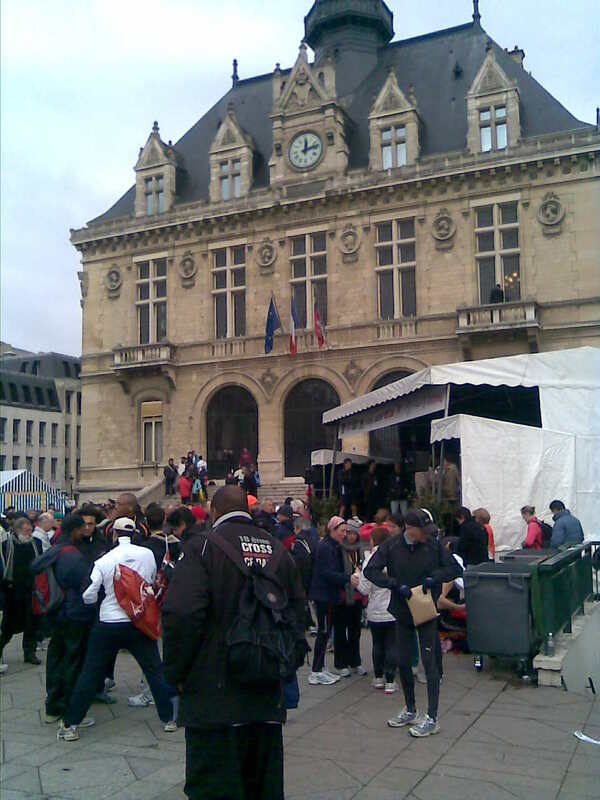 Sunday 7th – Even though I missed the registration cutoff yesterday and had an outdated medical certificate, I managed to get registered & run Les Foulées de Vincennes 10K today. A special thanks to the young woman who, for whatever reason decided not to run & happened to appear at the registration counter at the precise moment I was there begging for a registration. There were probably a few thousand runners in attendance. It was rather cold but I was likely overdressed with my 5 layers on top, 2 on the bottom and ,my signature colorful Peruvian ear flap hat & multicolored scarf. I’ll take too hot over too cold any day! My first race in France, this was great practice for the upcoming event. 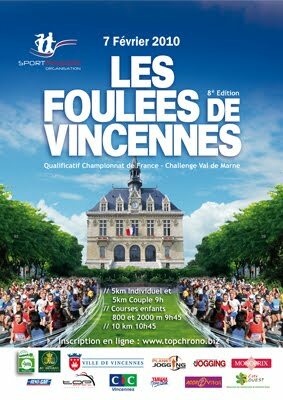 Part of half marathon is through the same location, the Bois de Vincennes. I ended up around 65 minutes and grabbed some water then continued for another 15 minutes for good measure. Even if the snacks were a bit disappointing, there were free massages & hot wine at finish line. Yeah! 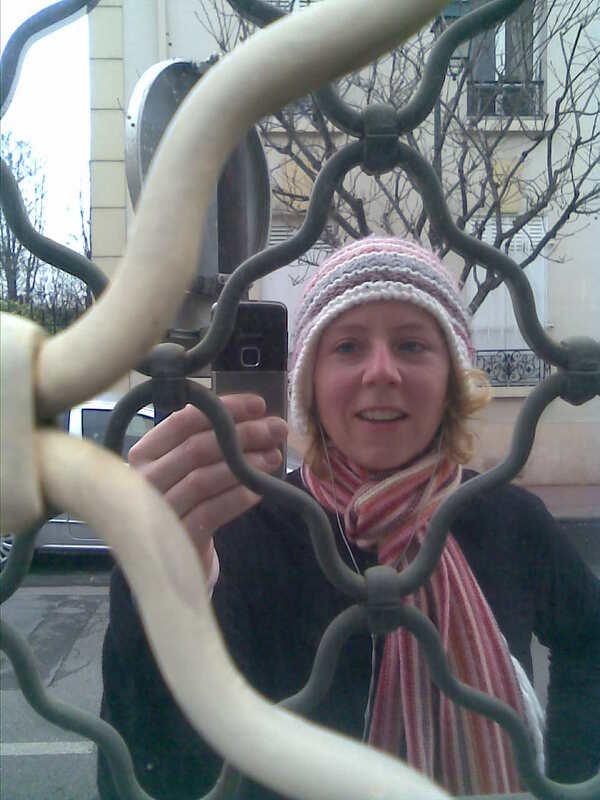 This entry was posted on 3 February 2010 by ladymissmba. It was filed under Half Marathon training 2011 .